The Pacific Ocean and the mighty Cascade mountain range influence Oregon's climate considerable. The weather is generally mild and wet on the west coast. Portland, Oregon's largest city, has a temperate oceanic climate and sees cloudy skies and light drizzles from November to March. The best time to visit Portland, Oregon is from June to September when the weather is at its best – pleasantly warm, dry, and with plenty of sunshine. In June, the average high is 23°C (73°F) while the average low is 12°C (54°F). On the east of the Cascade Range, this part of Oregon has dry summer and snowy winter. 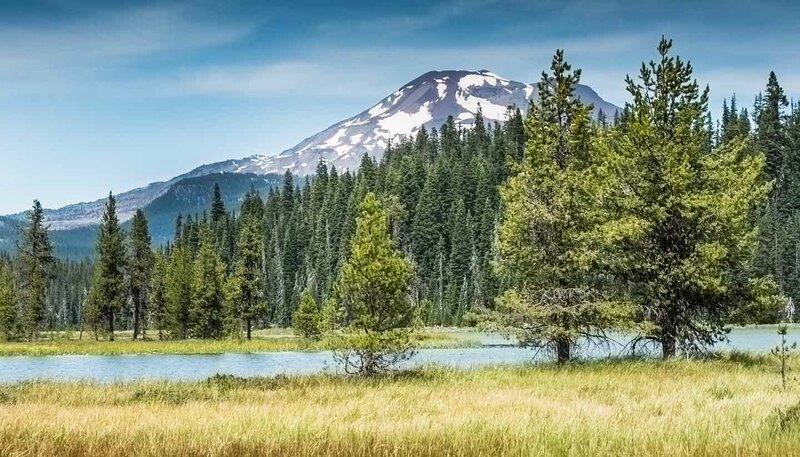 Bend, the largest city in Central Oregon, enjoys a predominately dry climate with over 300 sunny days a year, very low humidity and cool nights. Winters are snowy, making it an ideal winter sports location. Bordering California, the Rogue Valley has a Mediterranean climate with drier and sunnier winters and hotter summers. Light cotton and linens during the summer months. Rainwear and heavyweight clothing suggested for the winter months.